The Baby Penguin Electronic Baby Cradle is designed with expert technology. Now, there is no need for manual cradle rocking with inconsistent rocking that makes baby restless and uneasy. 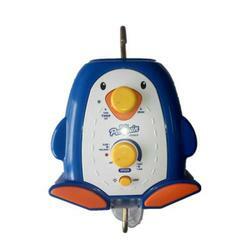 Use the Baby Penguin Electronic Baby Cradle for consistent, safer and more convenient rocking.